I started this dress over twelve months ago for my niece’s wedding last June. It was one of those projects that just went wrong from the start and eventually was abandoned before I completely lost it! My starting point was a gorgeous fabric in peacock colours, not sure what you would call it but its drapy and sheerish! I thought it would make a lovely summer ‘coat’ with a dress underneath. I found a pattern which I thought would fit the bill, Newlook 9220, it has a sheer coat with a summer dress underneath, perfect! Mistake number 1; I decided that the sheer fabric needed something special underneath, something a bit light reflecting, like silk dupion. 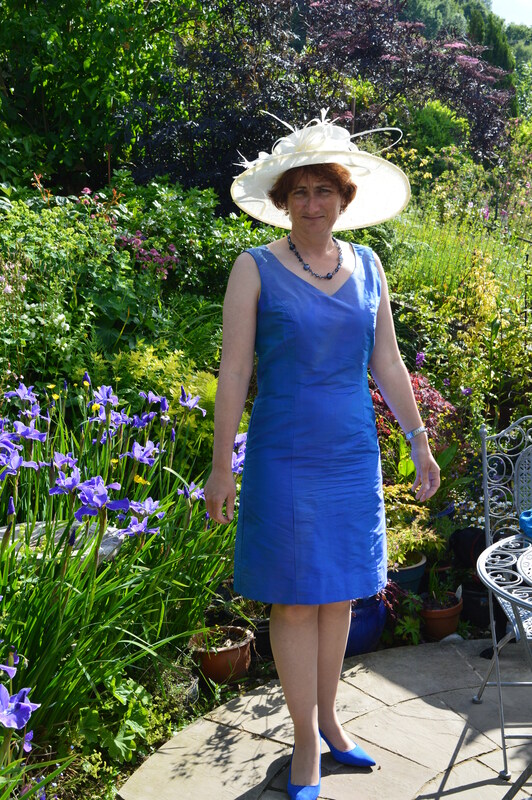 Mistake number 2; I ordered it on line, now I’ve ordered quite a few fabrics on line, the problem was the weight, I’ve sewn a lot of dupion that has been reasonably soft, this was beautiful, but it was fairly crisp!…and the dress took 4m! I made the dress up, the top fitted beautifully, but the skirt was a disaster, the silk was too firm to drape with the folds of the skirt. I made the coat as far as setting in the sleeves but it was clear it wasn’t going to hang right over the dress. I also felt the coat needed to be slightly fitted. Arghh!! I tried taking the pleats out of the skirt, so it was more A-line, but that didn’t really help, I tried pinning darts into the coat…I’m afraid at this point it went into a heap in the corner and I made something else for the wedding! Roll on 6 months and I was sorting out my sewing room just before going on a big holiday, a cruise! I found my dress and decided this was my chance to do something with it! I put it on my half-broken dressmakers manikin inside-out and started pinning the skirt seams. I shortened it to just above knee length and took all the skirt seams in so it would be a straight skirt. I tried it on very gingerly as there were lots of pins in it, but it seemed to work! I took the plunge and turned it into a short fitted evening outfit. I didn’t have chance to wear it on my holiday but last week I went to Ripon Races for Ladies Day with my Women’s Institute. Posh frocks and hats were the order of the day. I suddenly remembered my blue dress. I’ve got a wedding in about three weeks time (still to make that outfit!!) so I decided to get an ivory hat that would go with both outfits. I nipped out of work for an hour and managed to get a hat, shoes and a bag as well as some ‘slim-fast tights’!! Whilst I was getting ready on the day I remembered a pashmina I bought in the Grand Bazaar in Istanbul in April, it matched perfectly! If I don’t get my wedding outfit made, I think I’ll wear this instead! I had a great day at the races, putting a £1 each way on the horses with pretty names! 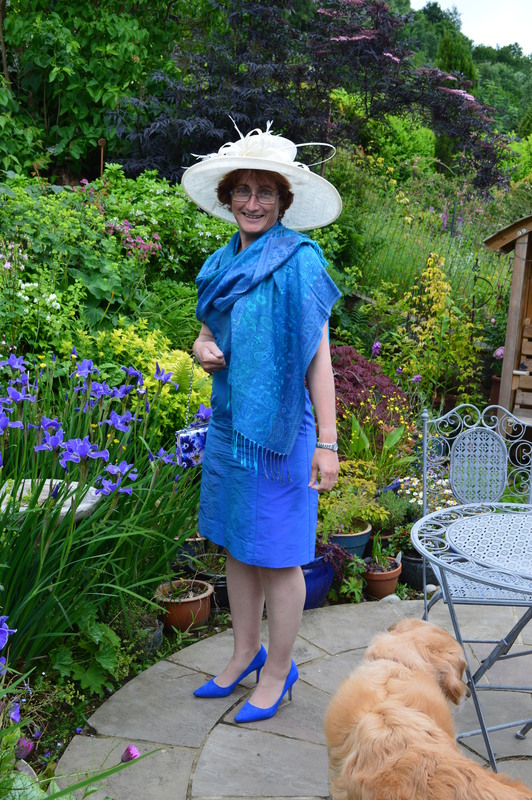 This entry was posted in Sewing and tagged Dressmaking, Newlook pattern, Silk Dupion. Bookmark the permalink. 7 Responses to From disaster to success! Love this dress. Perfect for the Ripon races! 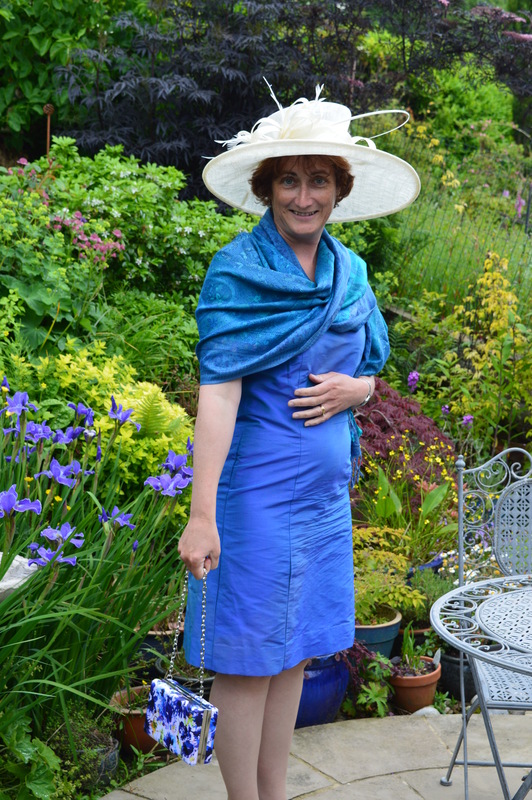 I stayed at tehe Runnymede Inn a few years ago and just adored all the outfits, especially the fascinators and hats. There were some amazing hats! Such a pretty color! I am glad you finished. Thank you, I love this colour, I have to confess though the coat is still in the UFO pile!